Eurus Energy Holdings Corporation, one of Japan's largest wind energy developers, acquires a share in Winlab Africa, a subsidiary of the Australian group Winlab Limited, with an investment of $10 million. The money will be used to finance several projects, including the Miombo Hewani wind farm in southwest Tanzania. The development of the Miombo Hewani wind farm project in Tanzania is accelerating. Windlab Africa, a subsidiary of Winlab Limited, a company based in Canberra, Australia, which initiated the project, has recently received a $10 million investment from Eurus Energy Holdings Corporation, one of Japan’s largest wind energy developers. Through this investment, Eurus Energy, which therefore takes a 25% interest in Windlab Africa, is now holding a place on the company’s board of directors based in South Africa. Even the agreement between the two parties does not concern Windlab Africa’s assets in South Africa and Mozambique. The Australian group’s African branch is also developing projects elsewhere in Africa: in Ethiopia, Kenya, Zambia, Uganda, Rwanda, Burundi, Malawi and especially in Tanzania, where it is building the 300 MW Miombo Hewani wind farm. The development of this project will require a total investment of $750 million, making it the largest wind power project in Tanzania. “We will work together to accelerate the development of our projects in this region (East Africa). While many of these markets are not without challenges, the need for massive investment in power generation infrastructure is clear,” said Roger Price, Windlab’s CEO. 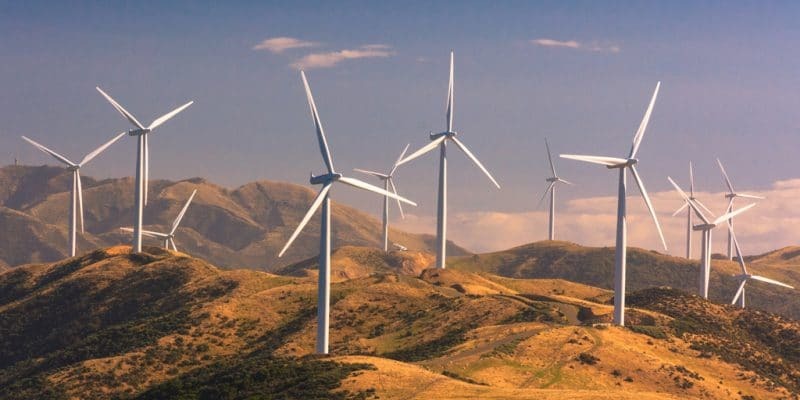 This investment will mainly accelerate the development of the Miombo Hewani wind farm located in Makambako District, Njombe region in southwest Tanzania. The Miombo Hewani wind project will be implemented in three phases of 100 MW each. The first involves the installation of 34 wind turbines for an investment of $250 million. Windlab estimates that this amount of energy will benefit a million people, mainly in the city of Makambako. The three phases of the wind farm will produce 300 MW and provide electricity to 3 million people “at current per capita consumption”. This project also includes the construction of a high-voltage line for the transmission of energy from the park to the Makambako substation, where the energy will be fed into the national grid. The electricity will be purchased by Tanzania Electricity Supply Company (Tanesco), which provides the public service. The project is supported by Wind East Africa Limited. This company is owned by the International Finance Corporation (IFC), the World Bank’s corporate finance subsidiary, Six Telecoms Company Limited, a Tanzanian company, Aldwych International Limited, based in the United Kingdom. Wind East Africa is developing several projects in East Africa, including the Singida wind farm in the Singida region of central Tanzania. It will produce 100 MW.